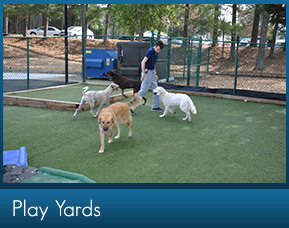 Your dog will love our Doggie Day Camp! 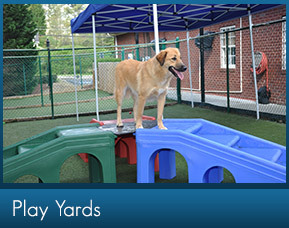 Our doggie day camp includes a large outdoor play area so your dog can play outdoors and have fun in the sun. 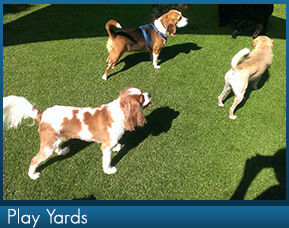 The area is fenced-in for your dog’s total safety, and our outdoor potty area lets him do his business outside like he’s used to doing at home. 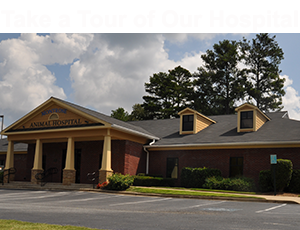 Our professional kennel staff makes every effort to keep your dog in a manageable play group, and they ensure that your dog gets enough rest during the day after activity. We separate the dogs by size and temperament, meaning we may have some gentle or senior dogs in the same play group as the small dogs if that is where they are best suited. Click on the link for the Doggie day Camp Application. 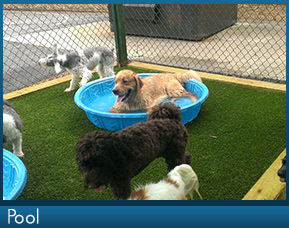 All of our Day Camp groups are supervised by trained and loving Camp counselors to keep your pet safe and happy. All outside enclosures are 25x60 and have a shaded canopy with plenty of water misters for those hot days. 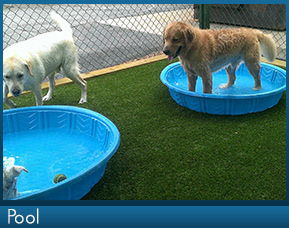 Several kiddy pools are provided so that each dog can keep cool or just splash around. 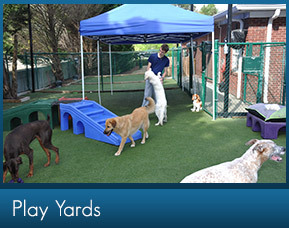 With plenty of space to run, toys to play with and friends to keep company, your dog is sure the enjoy a day at camp.